With oil development advocates again emboldened by the prospects of cracking open the Arctic National Wildlife Refuge, a big secret that could add to the continuing debate over exploration remains as cloaked in mystery as ever. Experts say data from the KIC-1 well — the only well ever drilled in the refuge — remains the tightest of North America's "tight holes," an industry term for top-secret wells. The explorers, BP, Chevron and two Alaska Native corporations — subsurface landowner Arctic Slope Regional Corp. and village corporation Kaktovik Inupiat Corp.— have kept the data hidden, with only a small number of people aware of what the drillers found. 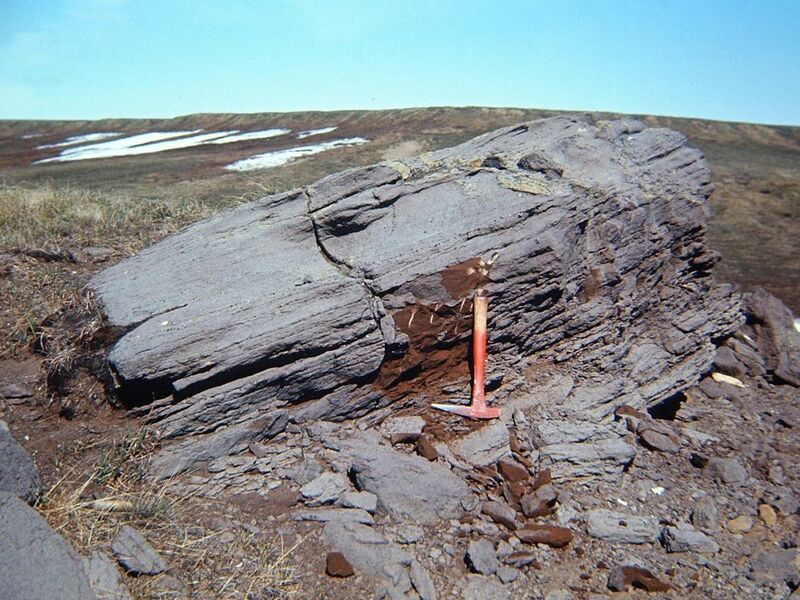 Federal government geologists aren't in the know. The rare Alaska state employee who has viewed the information isn't talking. 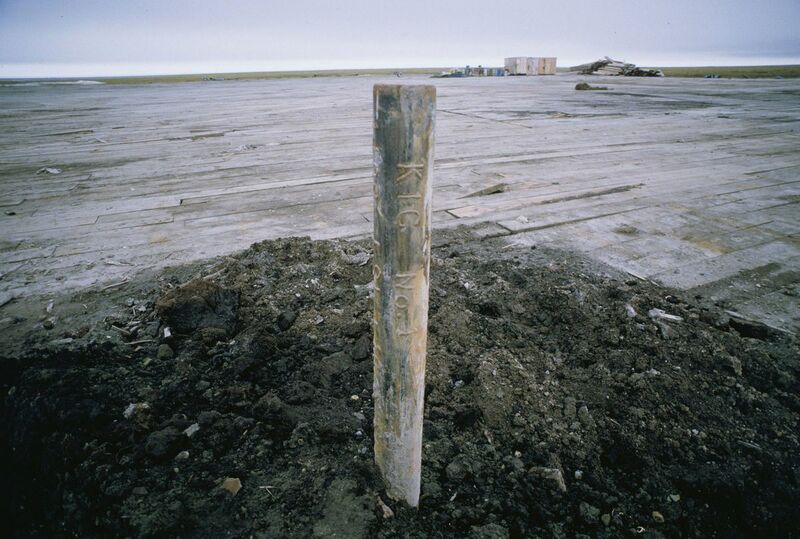 But the results from the 1986 well, drilled 15 miles southeast of the village of Kaktovik, could be something of a Rosetta stone, helping to unlock the refuge's complex geology and uncertain oil potential. It also could add information to the decadeslong political fight to allow oil explorers into the 1.5-million-acre "1002 area" — the Arctic refuge's coastal plain named for a section of the 1980 law that set the area aside for possible development if Congress ever approves. Without that data, whether pools of petroleum lie underground can only be inferred by geological techniques like studying rock formations or seismic exploration. But crude oil has also seeped to the surface, tantalizing oil explorers with its smell. Conservation groups say the 1002 area — 8 percent of the refuge — is critical habitat for the Porcupine caribou herd and threatened polar bears that den along the coast in greater numbers than elsewhere in Alaska. One person who had government responsibility for the area, Deborah Williams, the special assistant for Alaska under former U.S. Interior Secretary Bruce Babbitt, said that in her opinion, the remarkable secrecy surrounding the well suggests oil wasn't discovered in significant amounts. The oil industry hasn't pushed hard to open the refuge, she said. They would have, she added, if they'd found a large pool of oil. "The main thing is the dog didn't bark," Williams said. "And humans just aren't good at keeping big, fat juicy secrets, particularly when there's so much opportunity for that data to help them politically and policywise." Officials with ASRC, BP and Chevron did not respond to requests for comment. Geologists who have studied the refuge for decades, and are also familiar with the business, say the companies would keep quiet, whether they stumbled onto an elephant field or found nothing at all. 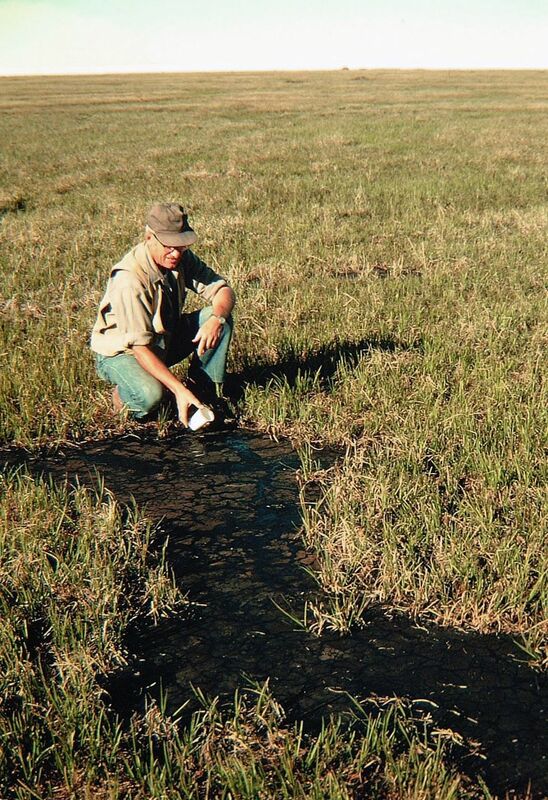 What's known about the refuge's oil potential is based on a two-dimensional seismic survey done in 1984 and 1985. A petroleum-industry consortium that did the fieldwork was hunting for a giant — another Prudhoe Bay, where more than 12 billion barrels of oil has been produced over 40 years. They found structures that could contain massive oil fields. But the seismic waves shot into the earth were widely spaced. They left large gaps that could contain unidentified traps big enough to hold economically viable oil fields, said David Houseknecht, project chief for the U.S. Geological Survey's Energy Resources Program for Alaska. A 1998 assessment by the USGS, based on the 1980s survey, was the agency's most recent review of the refuge's oil potential. Its estimate: The 1002 area might contain 7.7 billion barrels. 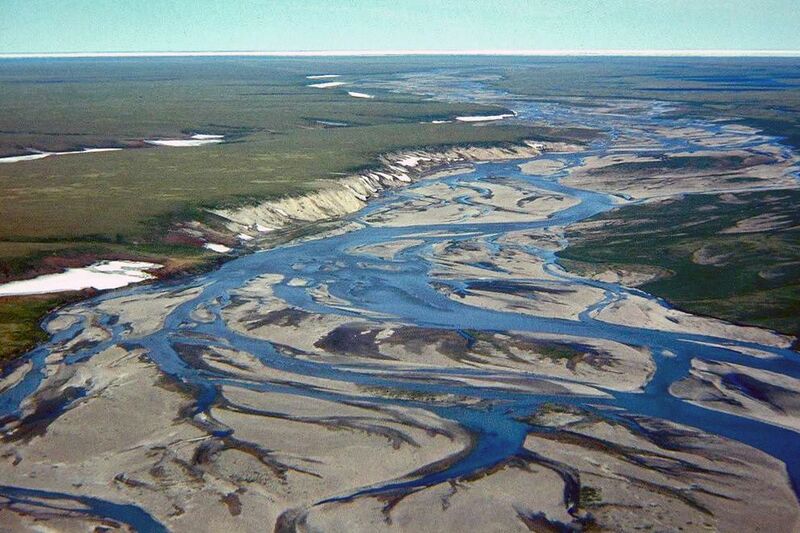 Nearly another 3 billion barrels might be located on adjacent state and Alaska Native lands. With such scant information, core-sample rocks, and possibly oil, gas and water pulled from the 3-mile-deep KIC well could be worth a lot, geologists said. Companies would hold it to trade or sell, or keep for themselves to win the best tracts, if leasing was allowed in the refuge. "Good, bad or indifferent, it will tell you something someone else doesn't know. That has value," said Ken Boyd, a former director of Alaska's oil and gas division. Like any well drilled in Alaska on state, private or federal land, the results were provided to the Alaska Oil and Gas Conservation Commission, the state's oil-well regulators. But the oil companies and ASRC fought in court to keep the information from also being viewed by the Alaska Department of Natural Resources, said Robert Mintz, a former assistant attorney general who worked on the case. In 1992, the companies reached a settlement with the state that allowed limited disclosure to key officials within DNR, primarily experts in the oil and gas division. The deal allowed DNR to use the results to carry out its duties, including estimating the value of state lands. But it called for lifetime pledges of confidentiality for those aware of the secret. They couldn't even take notes or make other records. Today, the information is tightly held at AOGCC in Anchorage, contained within a locked box within a safe in a locked room in the agency's secured area. Different people know codes for the different locks, so no one can get to the data alone. "All our confidential information is secure, but this is the most secured bit of our confidential information," said Cathy Foerster, longtime AOGCC member. Would Foerster allow a photograph of the safe? "Not only no, but hell no," she said. Foerster said she's never peeked inside. She doesn't want to risk spilling the details. At DNR, only one person is authorized to view the material today, said Elizabeth Bluemink, a spokesperson. Boyd, now retired, believes less than 10 people at DNR have ever seen the results. He was one of the first state officials to see the data, at BP's offices in 1992. "Their geologist did a very, very good job of answering questions, and rolling out data, for a couple of hours," Boyd said in an interview last week. Boyd refused to provide any details about the well's contents. He never has, he said. Mum, too, is Mark Myers, also a former oil and gas division director who once saw the results from company officials. "I can't tell you anything about the well," he said, adding he could possibly be prosecuted for disclosing details. Houseknecht, with USGS, is known for squeezing secrets from industry geologists. But, he said, he never got a peep from a friend who retired from BP more than a year ago, despite attempts. The friend had seen the data in BP's secret vault. She was one of three BP employees, as he understands, authorized to know the details at any one time. "I've gotten information on other tight holes, for a variety of reasons," Houseknecht said. "But the KIC well, I've never gotten any information out of anyone about it." 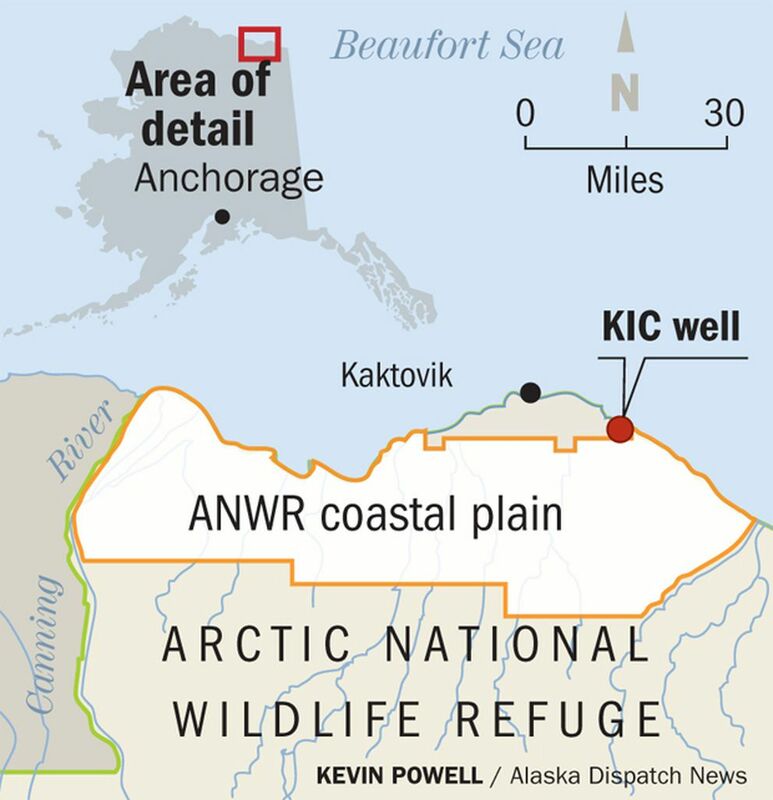 Houseknecht wouldn't speculate on whether ANWR hosts a giant oil field. The USGS, interpreting the 1980s seismic data, has said the primary source rocks and reservoir rocks found at Prudhoe don't extend to the coastal plain. The lack of major geological trends found at Prudhoe raises questions, he said. "Any time you eliminate the richest source rock from an area, that increases risk factors you'd rather not have if you're looking for oil," he said. Oil could still be trapped beneath the coastal plain, but from other sources, he said. Companies have made sizable discoveries near the refuge that would be celebrated elsewhere. But they weren't big enough for development in the costly Arctic. Houseknecht said he might know more about the 1002 area's oil potential after the federal agency updates its 1998 assessment, a step proposed by the pro-development Trump administration in May. "Talk to me in a year and a half and I may have a different answer," he said. Nicole Whittington-Evans, Alaska regional director of The Wilderness Society, cautioned that oil production on the plain, whether tied to a large field or many smaller ones, would lead to industrial sprawl harmful to wildlife and the refuge. She said she doesn't want to know whether large pools of oil exist in the refuge: "We honestly hope we never find out."